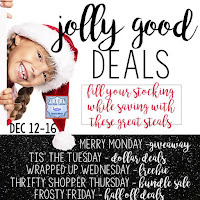 It’s that time of year again, the holidays are just around the corner, now it’s time to shop bargains. 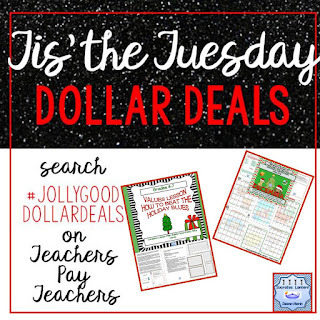 These are the perfect holiday gifts for your colleagues, your children's teacher/teachers, and/or yourself. Now, I love a good sale., This one will knock your boots off. 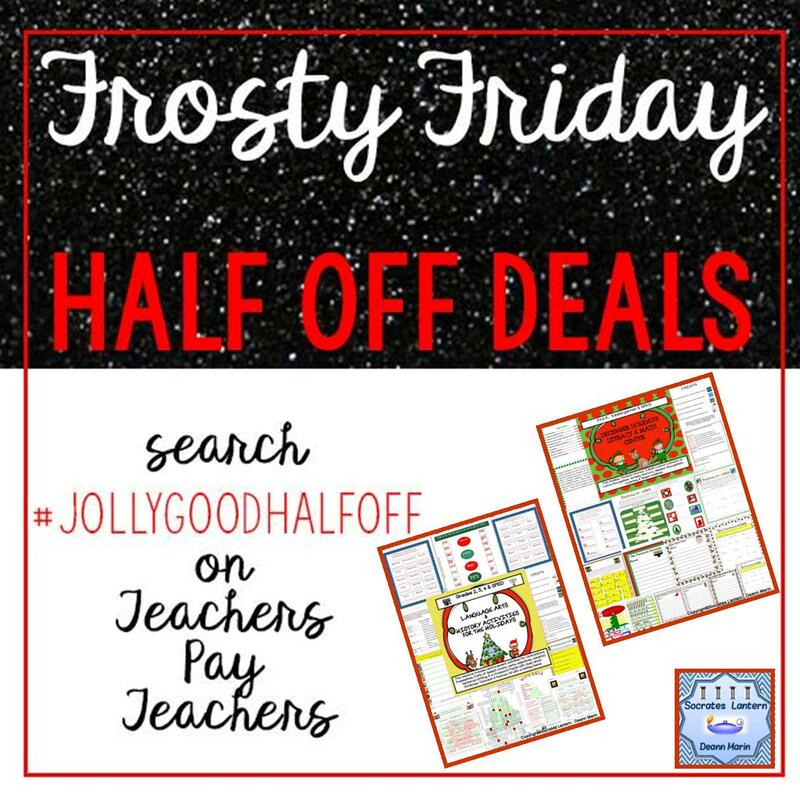 That's why I've joined up with a great bunch of Teacherpreneurs to bring you these Christastic deals. Oh I almost forgot...The sale will last for a full week with different bargains everyday. A sale is great, but FREEBIES are even better. 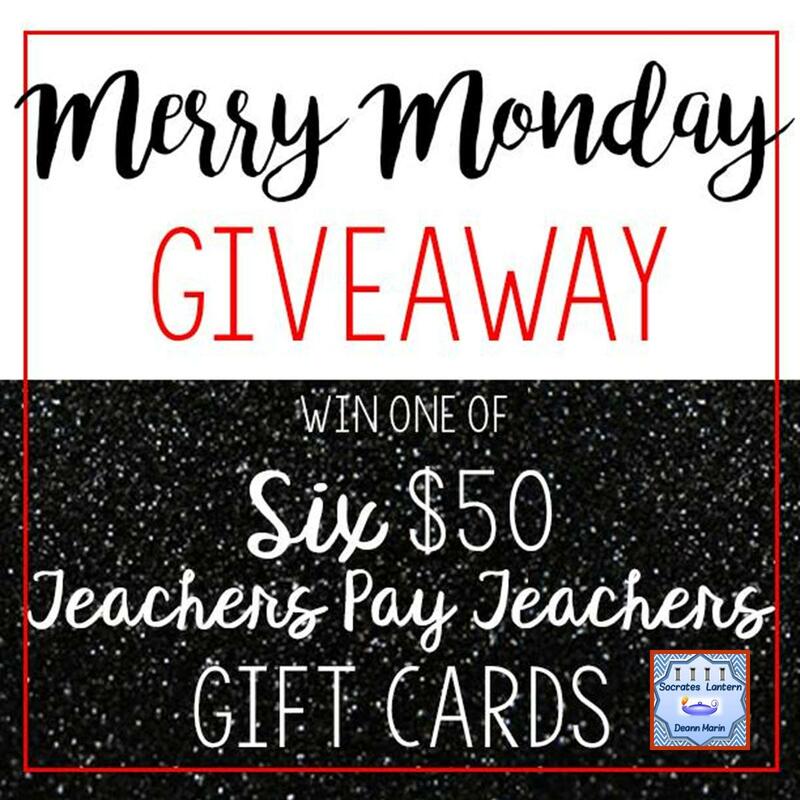 You can win a $50.00 gift certificate to Tpt by entering our Rafflecopter! 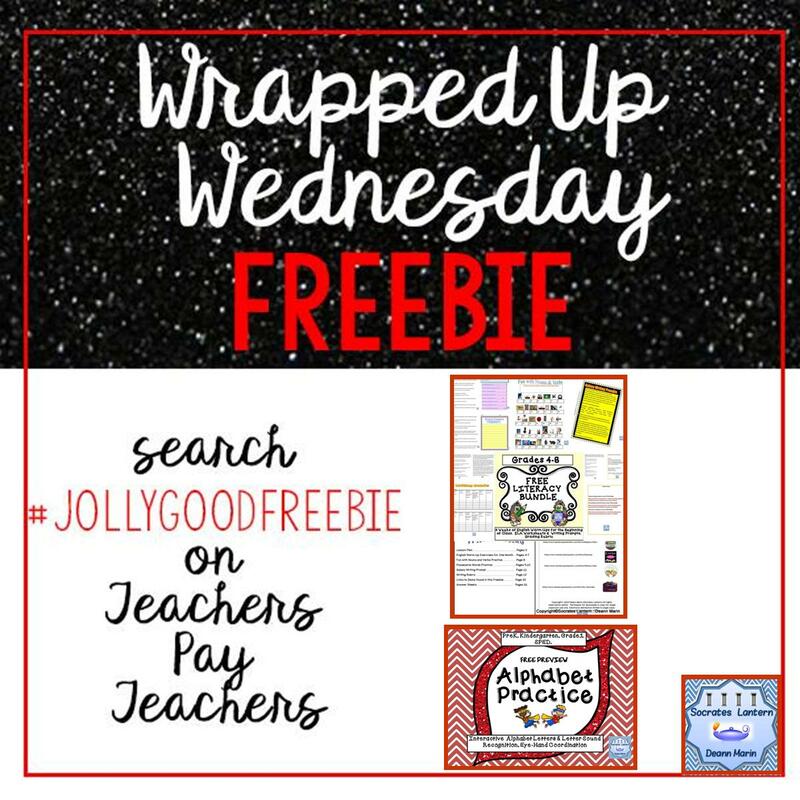 All you have to do is fill out the Rafflecopter form below. I'd really appreciate a store follow., too! 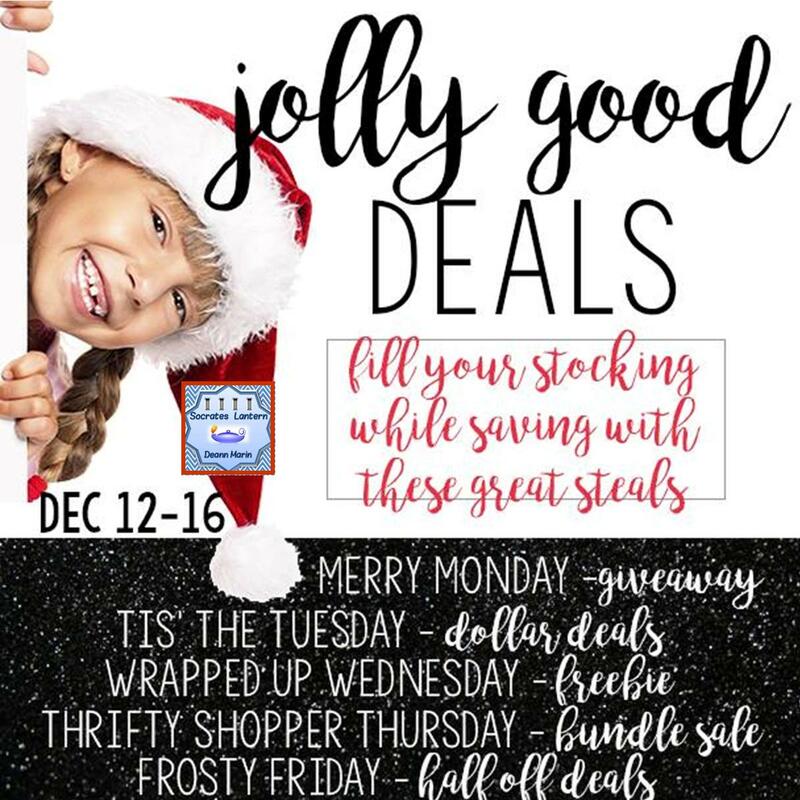 Sign up and shop, till you drop! 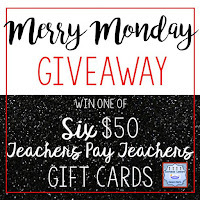 Please take a look at the resources that will be on sale at Socrates Lantern's Tpt Store: Monday is Giveaway Day, enter the Rafflecopter at the bottom of this post. 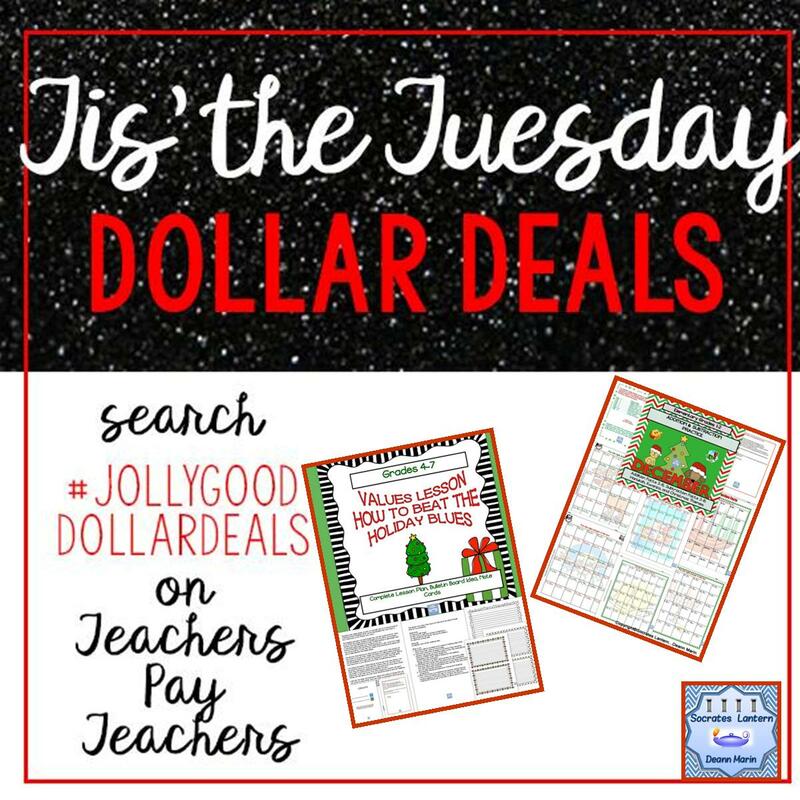 Tuesday we have Dollar Deals. 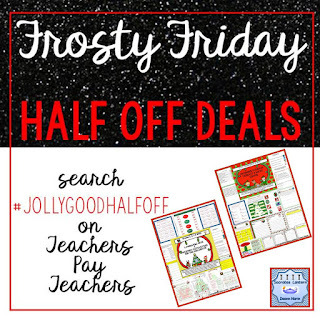 Type #jollygooddollardeals . 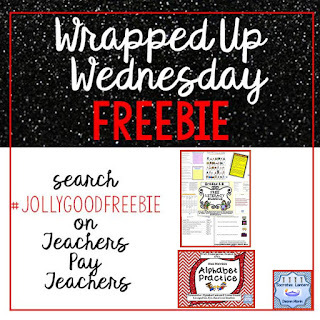 Wednesday is FREEBIE Day type #jollygoodfreebie, Thursday is 20% OFF day type #jollygoodbundleday and Friday is 50% OFF day type #jollygoodhalfoff at Tpt.